Founded in 1938 to preserve the beauty, serenity, and unique heritage of the Druid Hills neighborhood. 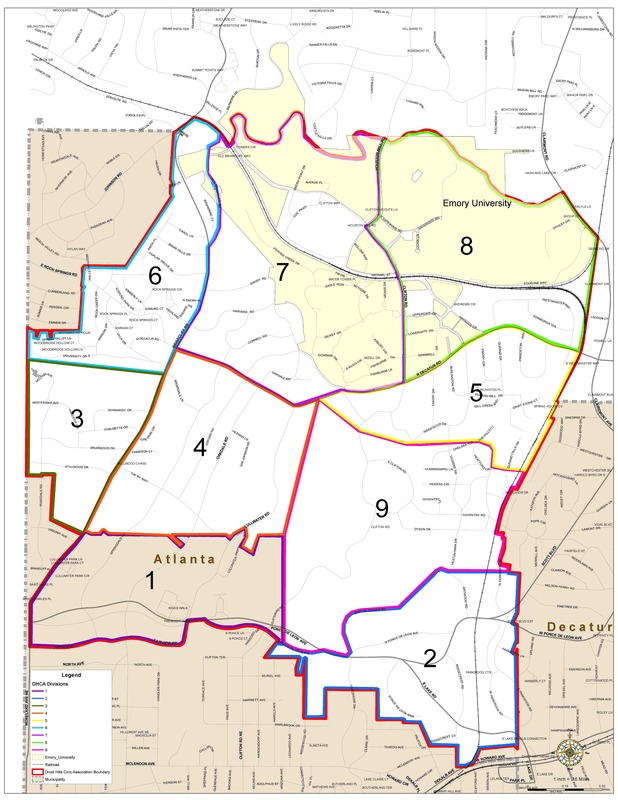 The numbers refer to the “Division” (an internal DHCA mechanism for organization of the Druid Hills district). Each division has a chair, a.k.a. a point of contact for the residents within that division. Click here to find your Division Chair. For a higher resolution map, click here: DHCA Map. The Druid Hills eNews is published monthly and covers upcoming events, happenings in our neighborhood, and breaking eAlerts. There is no cost to subscribe and your email will never be shared or sold. Do you have a story for the eNews? Click here to send it in! The opinions expressed in the comment section belong to individuals and do not represent the views of the Druid Hills Civic Association.